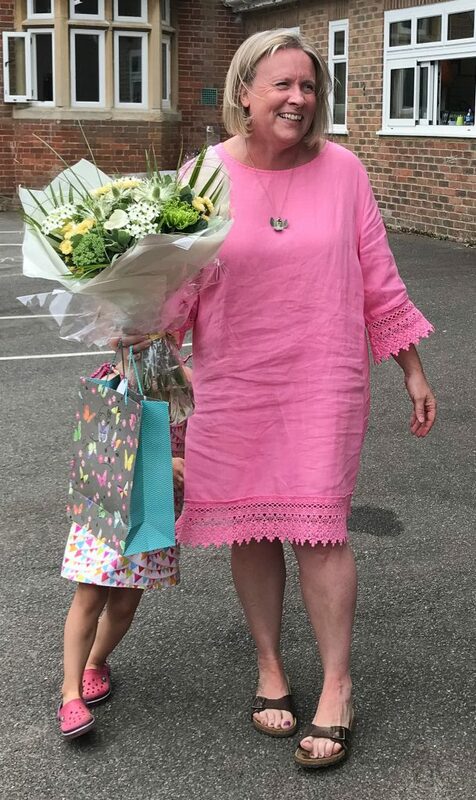 Staff, trustees, parents and children have bid a fond farewell to Nicola Collett, who has stood down as head teacher at Hambledon Nursery School after ten highly-successful years. Nicola’s final day was the last day of the summer term (July 20th). At the end of the leavers service for children moving on to primary school, tributes were paid and gifts were presented. 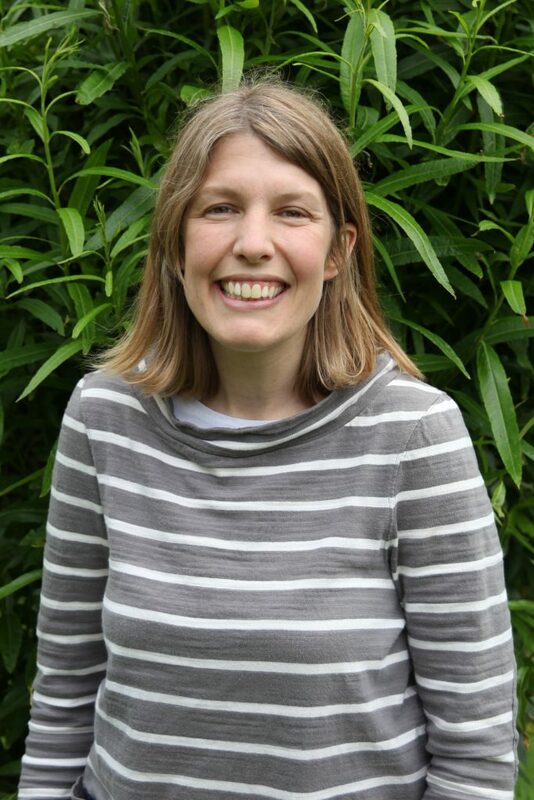 Nicola joined the teaching staff in 2001 and was appointed head teacher and manager in 2008. The school was once the village state primary. It was reopened as a nursery school in 1984 after a village-led initiative secured the lovely Victorian schoolhouse and playground in its beautiful rural setting as a place of learning. It has thrived and since Nicola took over it has twice been judged “outstanding” in Ofsted inspections. David Evans, chair of trustees, said: “Nicola has made a quite exceptional contribution, and the school today bears her stamp in so many ways. “We are fortunate to have such an attractive Victorian building, but Victorian buildings need love and care, and with Nicola over the years it has been very well maintained. The extensive outdoor areas and outbuildings and play areas have also been carefully looked after and developed, with children’s gardens, and outdoor toys, and climbing frames and pathways and camps. “Important as the physical environment is, much more important is our teaching staff. Nicola has taken tremendous care over the staff team and has supported and imbued it with her passion and values. It is a great team, who look after their small charges with endless care and dedication and give them the best start to their schooldays that they and their parents could hope for. 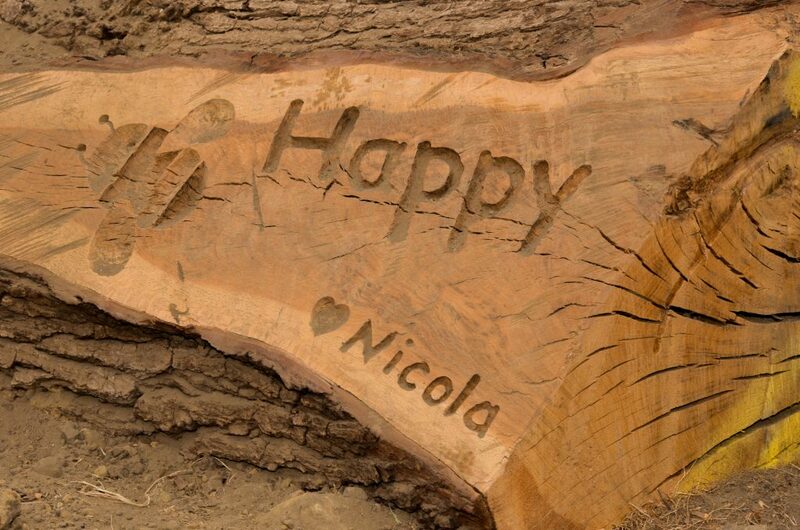 “Nicola has been the embodiment of “hands-on”. She has maintained a teaching role throughout her time at the school, and has always been on-hand to advise and support those around her. And as well as supporting her colleagues, and caring for the children, before a new term started she would invariably be found organising a tidy-up of the classrooms, or checking the grounds, or planning a new innovation in the children’s education. “She can and should look back on her time at Hambledon Nursery School with great pride. The gifts from staff and parents and trustees will be a small reminder of the very high regard in which she is held by all. 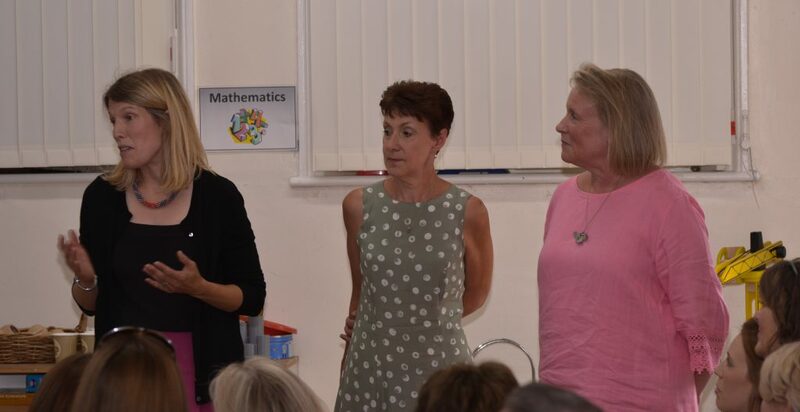 She is passing on the Headship to Kate Walford, presently a teacher at the school, and as ever has done an excellent job of supporting and handing over the reins to Kate. “Nicola has a creativity that has been a hugely important part of what she has brought to the school, and now she plans to develop these talents further and in different directions. We all wish her, with her husband Iain and her children Lydia and Lawrence, the very best. Our pictures below show Nicola in the playground after she was presented with a flowers by children; with her daughter Lydia (centre) and teacher/afternoon supervisor Kelly Shaw; and the inscribed oak log which was her departing gift to the school. 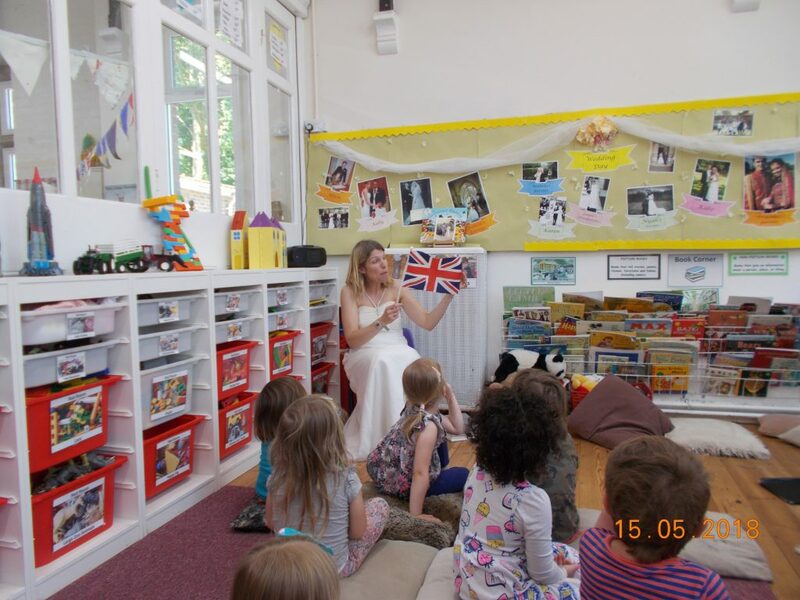 Hambledon Nursery School children celebrated the wedding of Prince Harry and Meghan Markle, now the Duke and Duchess of Sussex, by learning about marriage customs and staging their own ceremony at the village church. In the two weeks before the Royal Wedding at Windsor Castle, children were encouraged to bring in family wedding photographs to enable them to make a personal connection to the ceremony. These were displayed in the two classrooms and in the reception area. They also prepared wedding invitations, made bunting and arranged floral displays. Nicola Collett, head teacher, said this created a “real buzz of excitement” around the nursery school. Children enjoyed making their own plans and parents and teachers found themselves reminiscing about their own wedding day. Many reflected on how wedding dresses had changed over the years. Several teachers brought in their wedding dresses and wore them in fr ont of the children including Kate Walford who is pictured right. Another, who had recently celebrated her 30th wedding anniversary, brought along her photo album as well as her wedding dress. Ceremonies in other cultures were also talked about and one parent brought in a beatutiful Indian wedding dress and jewellery while another showed pictures of a family Scottish wedding, with men dressed in kilts. The school purchased a child’s wedding dress and prince’s outfit. Each day in the lead-up to the Windsor wedding, the children enacted a wedding ceremony. This culminated in them holding their own “wedding” service at St Peter’s Church. Two children played “bride and grooom” and the rest were guests of honour. Dressed for the occasion – some chose Disney outfits – they walked through the woods from school to church where wedding music was played and a “service” held. Then it was back to the school for the cutting of the cake. 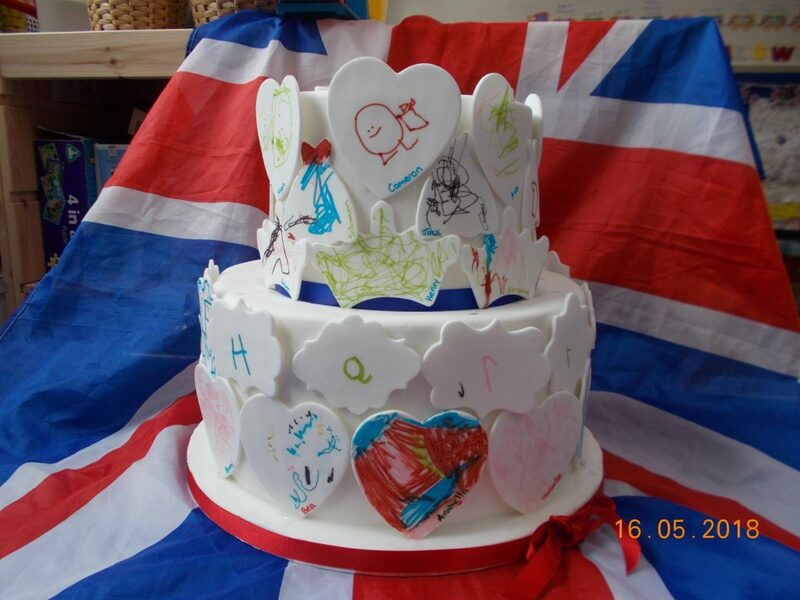 The children had made their own out of papier-mâché but, to their delight, Hambledon’s Crumby Bakery, made and delivered a large lemon and elderflower wedding cake. It was simply iced but with the addition of pre-cut paste shapes for children to decorate with edible pens. The cake, pictured left, was then cut and portions were sold to parents to raise funds for additional resources for the nursery school. Hambledon Nursery School is looking for a new teacher following the decision by Rosemary Kiley to retire after 27 years. 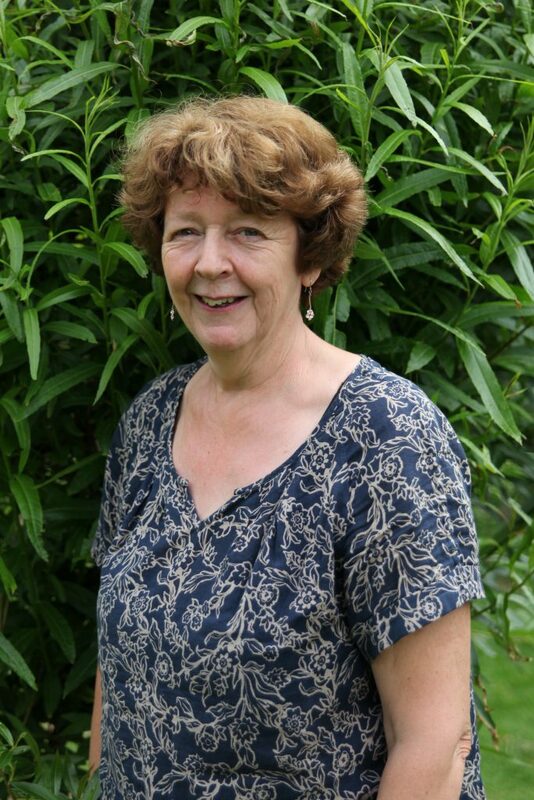 Rosemary joined the school in January 1991, just after her own children finished at the nursery. She is a popular and respected member of staff. Head teacher Nicola Collett said Rosemary would be much missed when she leaves at the end of term. In the meantime, she is seeking a new nursery practitioner to work four morning a week. Anyone who would like to apply should contact her at the school on 01428 684892 or by email on office@hambledonnurseryschool.co.uk. 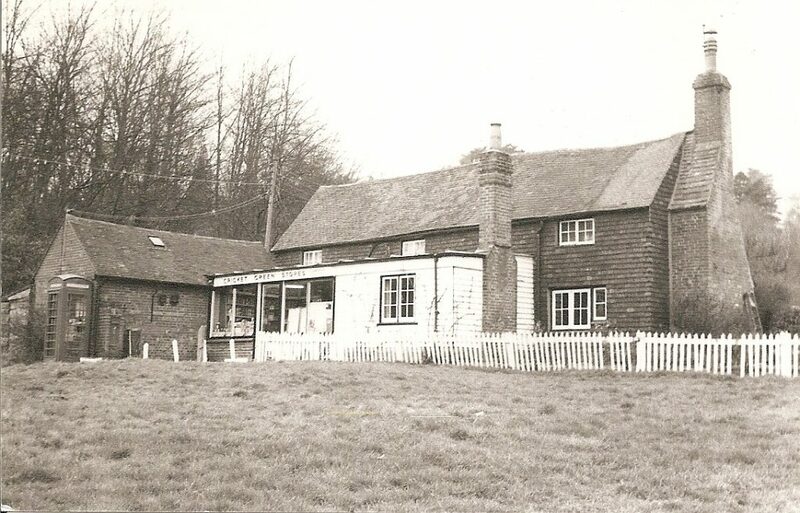 The nursery, at Rock Hill, Hambledon, occupies the buildings of the former Hambledon Church of England state primary which, like many small rural schools, closed in the 1980s. Residents were determined that it should remain a place of learning at the heart of the community and a campaign led to the acquisition of the Victorian schoolhouse and playground at Rock Hill. It reopened as a nursery for children aged two to five and has gone on to be adjudged “outstanding” by the government’s inspection body Ofsted. The nursery had not long been in business when Rosemary joined the teaching staff and she recalls that in those early days the admissions list was recorded on a piece of cardboard. 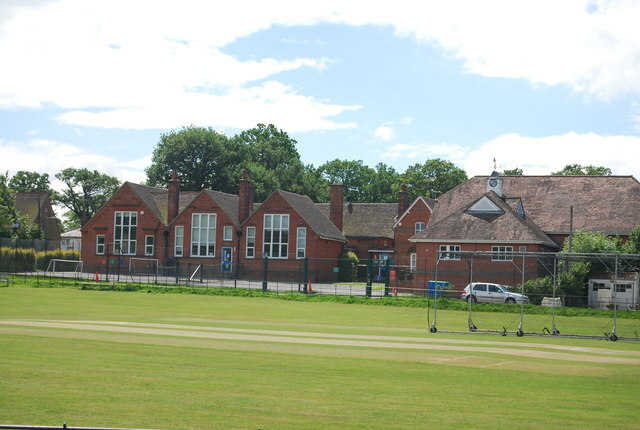 With a small but dedicated teaching staff, a school secretary, and overseen by a locally-appointed Board of Trustees, it has gone from strength-to-strength and is sought after by parents from the village and further afield. Nicola said: “A happy working environment is reflected in the longevity of service of Rosemary and, indeed, other nursery practitioners”. In retirement Rosemary (pictured) plans to focus on her flower arranging and will be holding a small sale of her creations at the nursery school on Saturday December 9 at 10am. 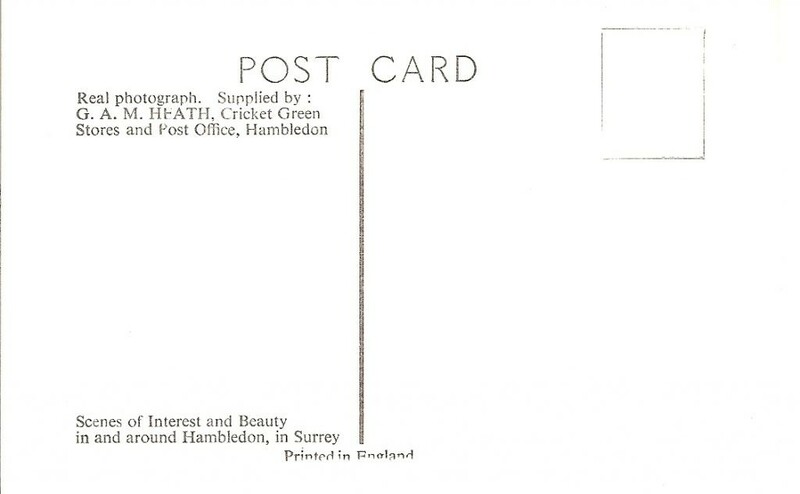 Recently she supplied arrangements for the current BBC television adaptation of the E.M Forster novel Howards End, much of which has been filmed in Hambledon. 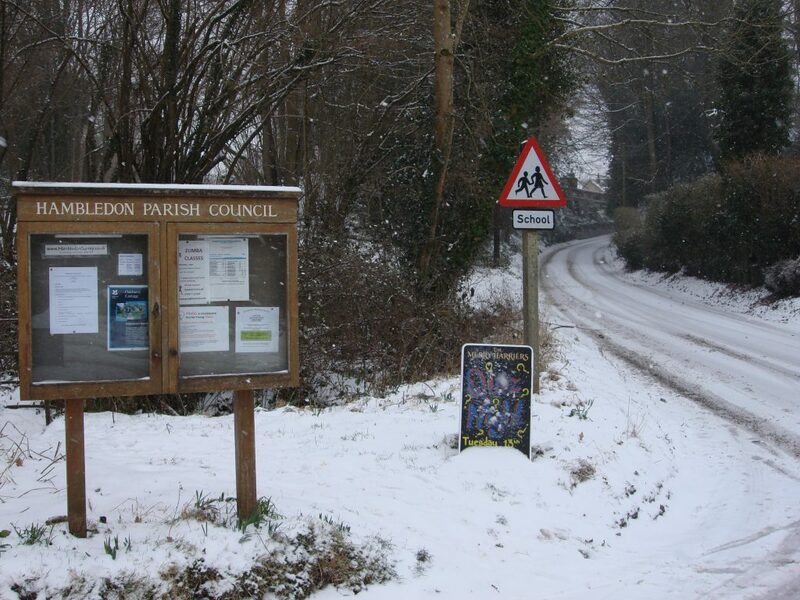 The Parish Council has for some time been concerned that families living in Hambledon find it difficult to get their children into primary schools within reasonable distance of the village. 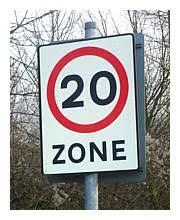 It has raised the problem with the Surrey County Council, the local education authority; and it has become clear that, if it is to make any headway, it needs more information about actual, as opposed to perceived, needs. 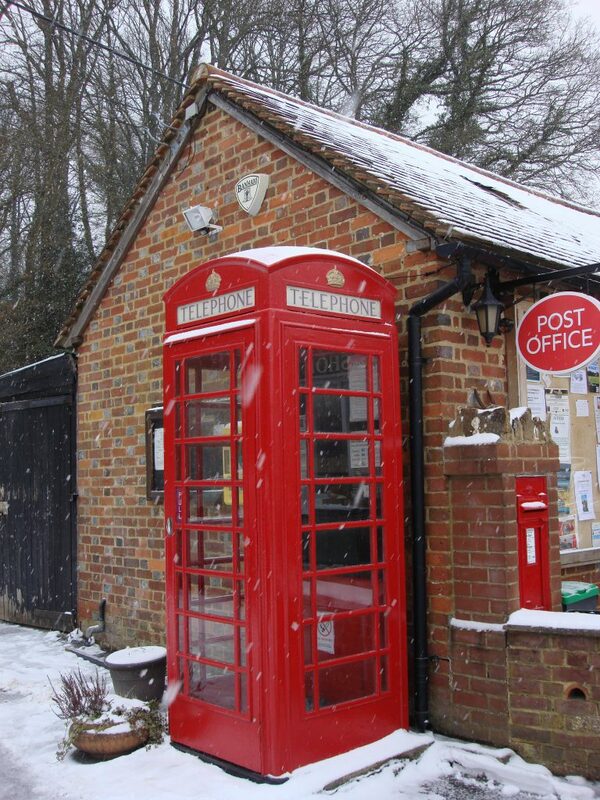 As one of the many villages in the area which does not have its own primary school, Hambledon has to depend on its neighbours. 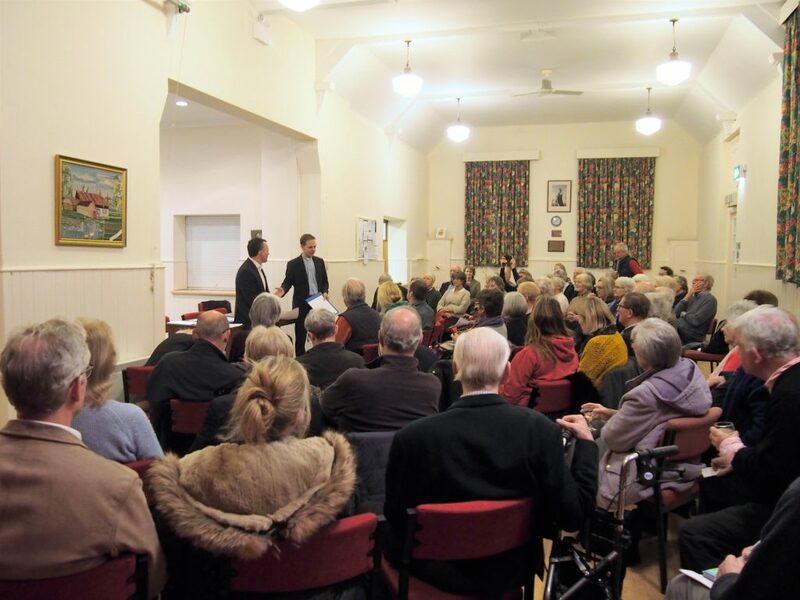 Two of these, Chiddingfold and Grayswood, are in charge of their own admission arrangements and would have to be asked direct if they could consider taking more children from Hambledon. 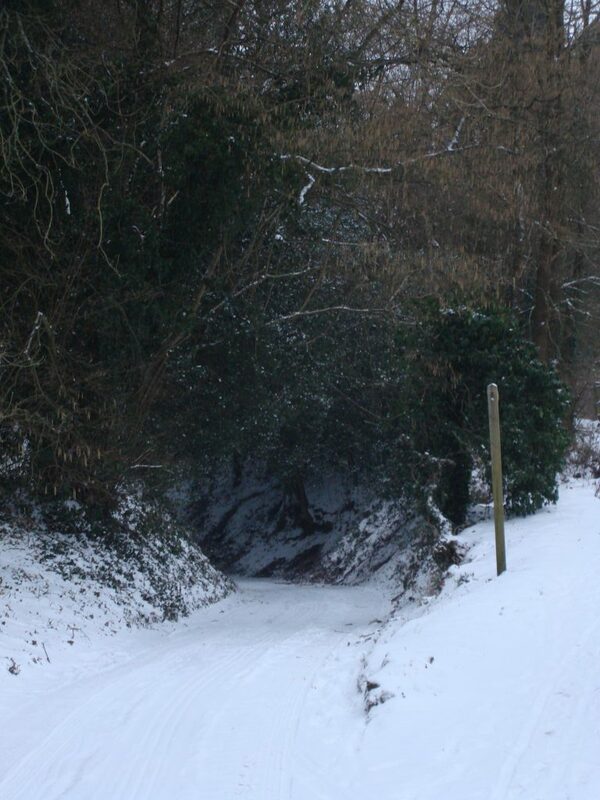 Admission arrangements for the primary schools in Witley, Busbridge and Milford are managed by Surrey which has categorically stated that it would not afford priority to children living in Hambledon. 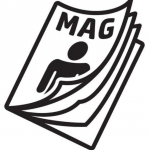 This is not what the Parish Council is seeking – it just wants a level playing field for all children within a reasonable radius of these schools. However, if the Parish Council is to ask for a rethink when admission arrangements come up for consultation in October, it needs to have a case. 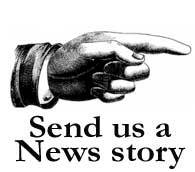 So could all families who have children starting school in autumn 2018 and who would like them to go to a local primary school please get in touch with the Parish Clerk (Jane Woolley), if possible before everyone disappears for the summer holidays, so that, if appropriate, the battle can be continued. 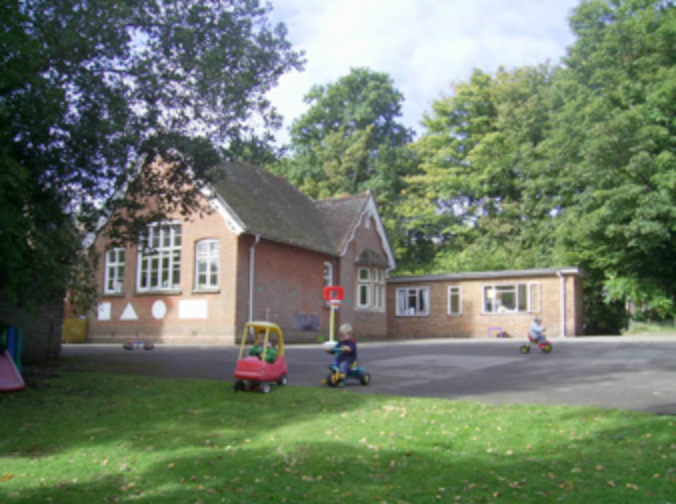 Hambledon Nursery School is an Outstanding-rated nursery school in the village. We are seeking a replacement for one of our Trustees who, due to other commitments, is planning to stand down. 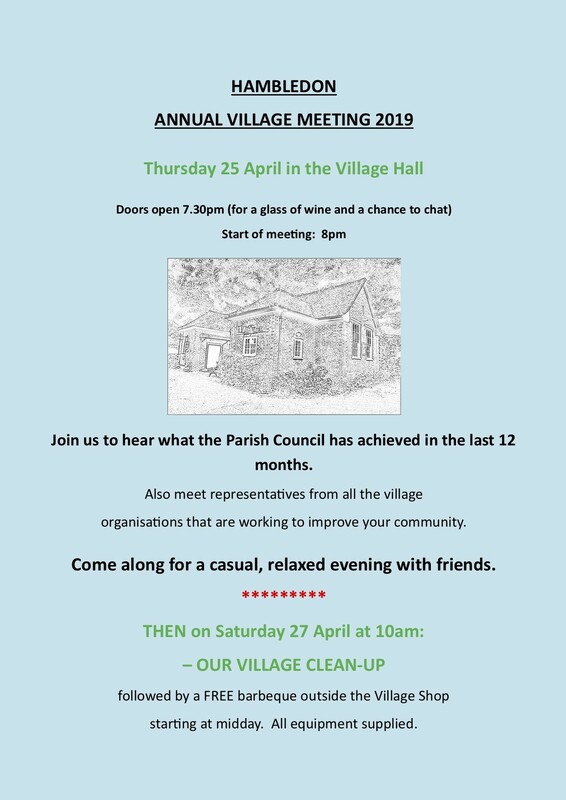 Trustees are drawn from different areas of village life, and in this instance we are seeking one to fulfil the role of “village trustee”; someone living in or near the village, who is passionate about the success of the school, and its part in the village community. Board members need to be able to commit to 6 evening meetings a year, where they bring their own experience and judgement to educational and management issues. They may in addition like to attend other nursery highlights – nativity/leaver’s service/‘fun’ events and so on. If you would be interested, please would you let Stephanie Campbell (School Secretary) know at office@hambledonnurseryschool.co.uk, and we will arrange the appropriate further conversations. Hambledon Nursery School will be a warmer place this winter, thanks to new windows in its two classrooms. The nursery, formerly the village primary school, dates back to Victorian times and is a listed building. 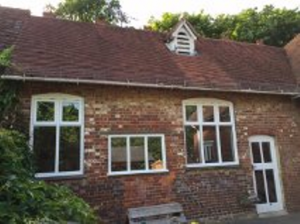 Its original wooden-framed windows were in an advance state of decay but the school had to replace like-for-like to comply with planning regulations – a costly business. Thanks to a £4,000 grant from the Hall Hunter Foundation – a trust set up by the owners of nearby Tuesley Fruit Farm – and a dip into the nursery school’s reserves, the money has been found to pay for the work, which was carried out over the summer holiday. Nursery School Accounts – Can You Help? Hambledon Nursery School is looking for an accountant to review its 2014 financial accounts on a voluntary basis. The school, on the site of the former village state school, was opened after a community initiative and has become a successful venture with an outstanding Ofsted rating, providing pre-school learning for children aged between two and five. 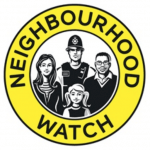 It is run as a business managed by a charitable trust for the benefit of the local community. 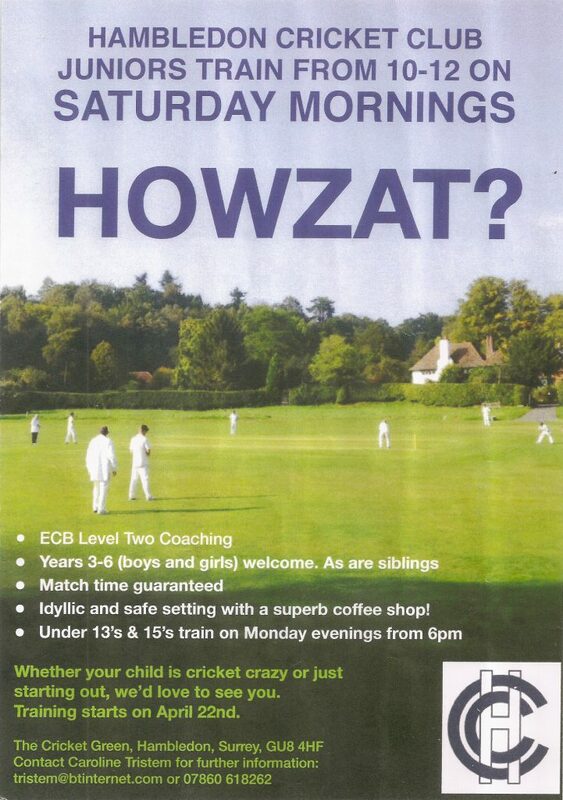 Please see the school advert below. If you are able and willing to support this local charity please contact Nicola Collett at the nursery school. 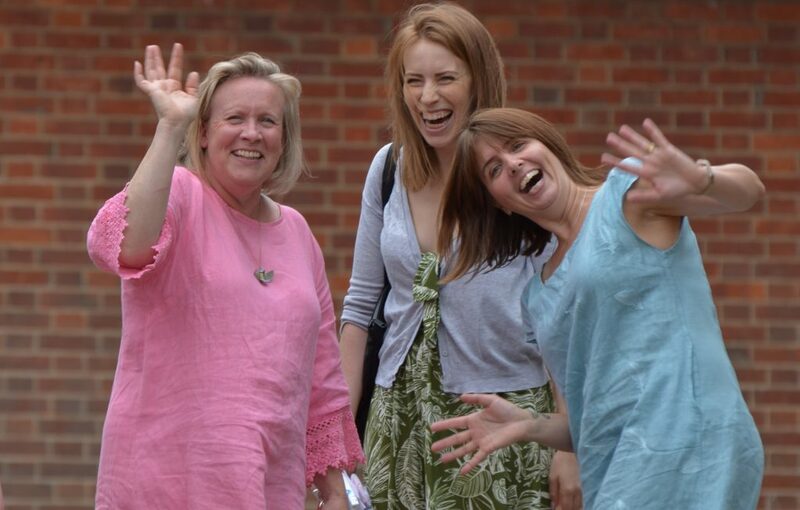 Teaching staff at Hambledon Nursery School can enjoy the summer break in the knowledge of a job well done after the government’s inspection body Ofsted awarded it an “outstanding” rating. All schools are visted periodically by Ofsted inspectors and judged as either Outstanding, Good, Requires Improvement or Inadequate. Hambledon Nursery School had been judged as outstanding following previous inspections. Open the page and find the link to a PDF document headed Early Years Register inspection report. Nicola Collett, head teacher, said that staff and parents were delighted with the outcome. She said the report highlighted the professionalism of teachers and how engaged children were in their learning. The school was originally the village state primary school. When it closed in the 1980s residents were determined to see it remain at the heart of the community as a place of learning. A campaign led to the acquisition of the Victorian school house complete with playground and its reopening as a nursery school run as a business by a charitable trust. It caters for children aged 2 to 5 and retains its strong links with the village, the church and the parish council.